Integrity is a word that often tends to be thrown around too loosely these days. But in the case of the extraordinary alto saxophonist Sherman Irby it not only fully applies, but demands a capital “I” for the proper emphasis. 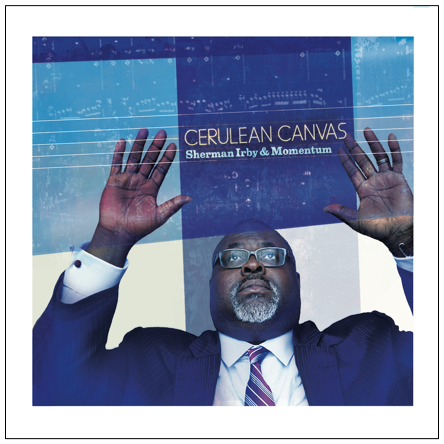 His latest album Cerulean Canvas on Black Warrior Records with his ensemble Sherman Irby & Momentum confirms that fact over and over again throughout its 10 outstanding tracks. The entire history of jazz as expressed through the alto is always fully contained in every note that Irby plays–the rich lyricism of Hodges, the commanding facility of Parker, the whimsy of Ornette, the exuberant swing of Cannonball, the exploratory confrontation of Gary Bartz and Sonny Fortune–and in those appropriate moments, the down home bluesy funkiness of Hank Crawford and Maceo Parker. Irby is a protector of the profound legacy, not in the museum curator sense, but in the classic tradition of the living vitality of calling upon the past in forging his own unique voice to define the present and foretell the future. In the old-school tradition that he’s fully embraced, Irby uses his virtuosity to tell compelling stories, not just to show it off. Considering the title of the album, it’s even more appropriate to say that he’s a painter of images, deftly splashing his palette of colors upon the canvases provided by the delightful compositions – and in the company of like-minded artists who join him enthusiastically in the joy of creation. For Cerulean Canvas, his eighth album as a leader and fifth for Black Warrior, Momentum is comprised of a stellar cast of collaborators, including trombonist Vincent Gardner, pianist Eric Reed, Gerald Cannon on bass, and Willie Jones III on drums. Two special guests are also on hand. Trombonist Elliot Mason spells Gardner on three tracks; and Wynton Marsalis steps out of the limelight of the Jazz at Lincoln Center Orchestra to grace the JLCO lead altoist’s album with his eminent presence, offering his unique talents to the appropriate enhancement in the manifestation of Irby’s music. This exemplary array of musicians fully and impeccably immerse themselves in Irby’s music, bringing all of their collective heart and soul to the proceedings as if they owned it, but always keeping focused on the leader’s intent and ownership of the art their synergy is creating. 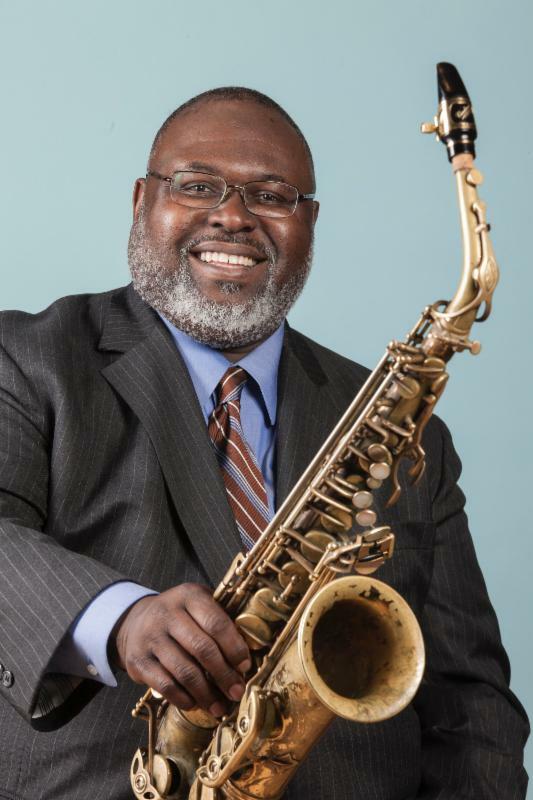 Since his arrival on the New York scene in 1994 where he was a regular on the vital Smalls scene for three years, Irby has steadily developed his career as a mainstay alto saxophonist through his recording and touring. Two albums for Blue Note led to his longstanding commitment to self-empowerment and artistic freedom and he has continued that since with his own Black Warrior Records. His artistic imperative forged by his participation in the unparalleled Betty Carter’s Jazz Ahead Program, Irby has been a featured member of groups led by Marcus Roberts, Roy Hargrove, Elvin Jones, Papo Vazquez, and currently tours with the immortal McCoy Tyner. A member of the JLCO from 1995-97, Sherman rejoined the orchestra in 2005 and serves as both first alto saxophonist and a key arranger. In addition to all of his performing activities, Sherman has developed an excellent reputation as a composer, receiving commissions for works that include Twilight Sounds,and his Dante-inspired ballet, Inferno. Also heavily focused upon youth education Sherman was the regional director for eight years for JazzMasters Workshop, a mentoring program for young children. He has also served as Artist-in-Residence for Jazz Camp West, and as an instructor for the Monterey Jazz Festival Band Camp. As incredibly busy as he is, this brilliant new album will hopefully inspire Sherman Irby to focus even more upon his own music as a leader.